Could the Miami Heat be Liable if Chris Bosh Gets Hurt – Even if He Signs a Waiver? Next year, we get Bosh back. We Miamians love Chris Bosh. And for the sake of him and his family, let’s hope his blood clots disappear. But what if the medical issues endure? What if playing next year carries the specter of grave personal injury or even death? Le Batard has an immense amount of respect for Bosh, in large part because the 7-footer is interested in so many things beside basketball. Bosh seems like one of the first players in the NBA who would say, “You know what? It’s not worth dying for.” But, as Le Batard notes, to get to the highest level in the NBA, you have to have the Kobe Bryant d/b/a Black Mamba-esque “assassin gene” in you. You have to be, to quote the journalist and radio host, a relentless “competition-a-holic.” Proving this point, per Le Batard’s Heat sources, the organization had to protect Bosh from himself during the playoffs by making him sit, his wishes notwithstanding. So, we hope that Bosh does not put himself at risk. But what if he wants to? Assuming Bosh would take the risk, and assuming he convinces the Heat that their stance is too paternalistic and he suits up next season, could the Heat be successfully sued by Bosh or, god forbid, his estate, if he suffers a catastrophic injury? The short answer is that Bosh probably would not be able to successfully sue the Heat—particularly if he signs a liability waiver that is airtight and signed under ideal circumstances. As in every state, injury liability waivers in Florida are generally disfavored on public policy grounds. The justified fear is that a liability waiver is a license for a corporation, now suit-proof, to act recklessly, leading to a more dangerous America. So, liability waivers must be very carefully drafted with knowledge that they will be strictly construed. 1. Bosh is an adult. 2. Bosh has a team of medical advisors ensuring that he is fully apprised of the dangers of playing basketball with his condition. 3. Bosh would presumably be represented by counsel. 4. The waiver would spell out that basketball is already an inherently dangerous activity, and, when combined with Bosh’s medical issue, constitutes a grave risk that Bosh himself is assuming. 5. The Heat are likely to maintain their position that they do not recommend Bosh playing, and as such he does so at his own risk. 6. The Heat’s lawyers would presumably be seasoned drafters who protect their client to the maximum by leaving plenty of escape valves and redundancies in the waiver. It is important to note that States differ on whether, and to what extent, participants in athletic contests can waive their right to sue sporting event hosts and/or facilitators for negligence if injured during such an event. For our non-Florida readers, this state-by-state guide by the California firm Prindle, Amaro, Geotz, Hillyard, Barnes & Reinholtz LLP provides a helpful overview. Remember that the law is always fluctuating and one cannot be sure the extent to which this guide has been updated, so self-check the citations of law contained in the document and consult an attorney rather than relying upon it alone. 1. Adults. 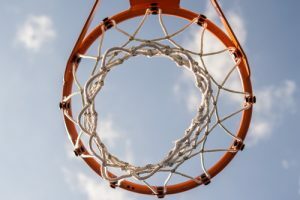 As seen with the Bosh example, adults participating in sporting events themselves generally can waive personal injury liability. 2. Kids. With few and well-delineated exceptions, a child—anyone under 18—cannot form a binding contract. Youth themselves thus generally cannot waive personal injury liability stemming from a sporting event. 3. Adults on Behalf of Kids. Adults generally can waive liability for injuries to their children. While the law in this area has shifted, as of 2010, “natural guardians are authorized, on behalf of any of their minor children, to waive and release, in advance, any claim or cause of action against a commercial activity provider…which would accrue to a minor child for personal injury, including death, and property damage resulting from an inherent risk in the activity.” Fla. Stat. § 744.301. The requirements of the statute are quite stringent, however, and straying from the recommended waiver language will weaken the event organizer’s argument for enforcement. 1. Don’t sign anything. There is never, ever any good reason to sign a liability waiver. Ever. If you really want to, you can sign your rights away later—but you can’t go back in time and get them back. So don’t sign any waiver if you can help it. 2. Cross out terms, then sign. Axiomatically, “an acceptance…to an offer must be on identical terms as the offer and must be unconditional. …A reply to an offer which purports to accept it but is conditional on the offeror’s assent to terms additional to or different from those offered is not an acceptance, but is a counter-offer.” CX Digital Media, Inc. v. Smoking Everywhere, Inc., 2011 U.S. Dist. LEXIS 29999, 2011 WL 1102782 (S.D. Fla. Mar. 23, 2011). English Translation: If you take a form contract from an event organizer, cross out the liability waiver section, sign it, and turn it in, you just made a counter-offer: “Same terms, but without the liability waiver.” It won’t be accepted—it preferably will be “thrown on the pile” without much thought—but that’s fine. Unless there is something in the rest of the form that outweighs the bad—and since this is the company’s form contract meant to protect its rights, that is highly unlikely—you don’t want to form any sort of contract. Without a contract, you did not waive the event organizer’s liability. You didn’t agree to anything. Absent such a waiver, you retain all your rights to sue. See also State v. Family Bank of Hallandale, 623 So. 2d 474, 1993 Fla. LEXIS 1134, 21 U.C.C. Rep. Serv. 2d (Callaghan) 665, 18 Fla. L. Weekly S 504 (Fla. 1993) (“In order to form a binding contract there must be a common or mutual intention of the parties. Mutual assent is an absolute condition precedent to the formation of a contract. Absent mutual assent, neither the contract nor any of its provisions come into existence.”). With the cross-out method, the worst that can happen is that the contract is enforced by some kind of equitable doctrine centered on your making the other party seem as if you’d signed the document, then participating. But that is unlikely to happen and, at any rate, it would leave you in no worse of a place than had you signed the document. It is, in other words, worth a shot. 3. Retain a creative legal team with a history of getting around waivers. One of the reasons Leesfield Scolaro, P.A. excels in getting the most out of every case is our creativity. When we see that our client signed a liability waiver, our first thought is NOT, “Oh, no. I guess we can’t sue.” Our first thought is, “Alright. There’s a hurdle between us and the courtroom. Here’s how we’re going to get around it.” Too many lawyers are pessimists. The best are optimists. They realize that whatever purported liability waiver they are faced with may very well have been drawn up by a lesser lawyer who made mistakes that the better lawyer will take advantage of. Make sure your lawyer always has his head up, looking for that competitive edge. If you have a sports liability waiver issue or another legal conundrum that demands creative lawyering, be sure to give Leesfield Scolaro a call. We thrive on winning difficult cases for our clients and would love to do the same for you.